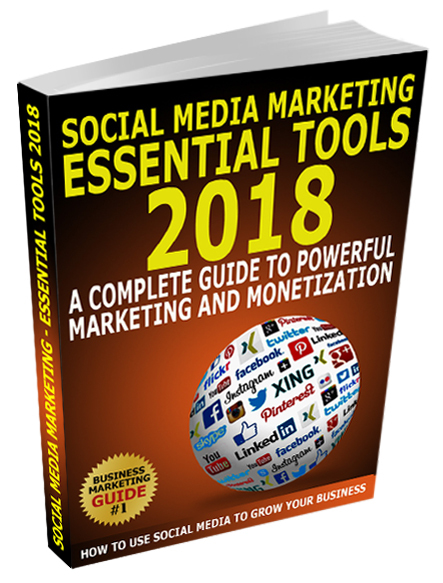 Social Media Marketing – Essential Tools 2018 identifies free marketing tools and educational resources that can help you identify social media opportunities, manage your customer relationships, and measure your success. Social Media Marketing – Essential Tools 2018 is “THE” guide to effective social media marketing for small business owners and marketers. Think of it as your personal “coach” on how to feed your company’s marketing on Facebook, how to yank your YouTube into high gear as a promotional tool, how to leverage LinkedIn as a networking and schmoozing system, how to Tweet on Twitter for profit… you get the picture. It’s the “HOW TO” companion guide.